Malaga: Pasifika planning for success helps teachers deliver career education that reflects the identity and culture of Pasifika learners. Fakaalofa lahi atu, mālō e lelei, tālofa lava, ni sa bula vinaka, tālofa, halo olaketa, mālō nī. Malaga: Pasifika planning for success helps teachers deliver culturally responsive career education to Pasifika learners. 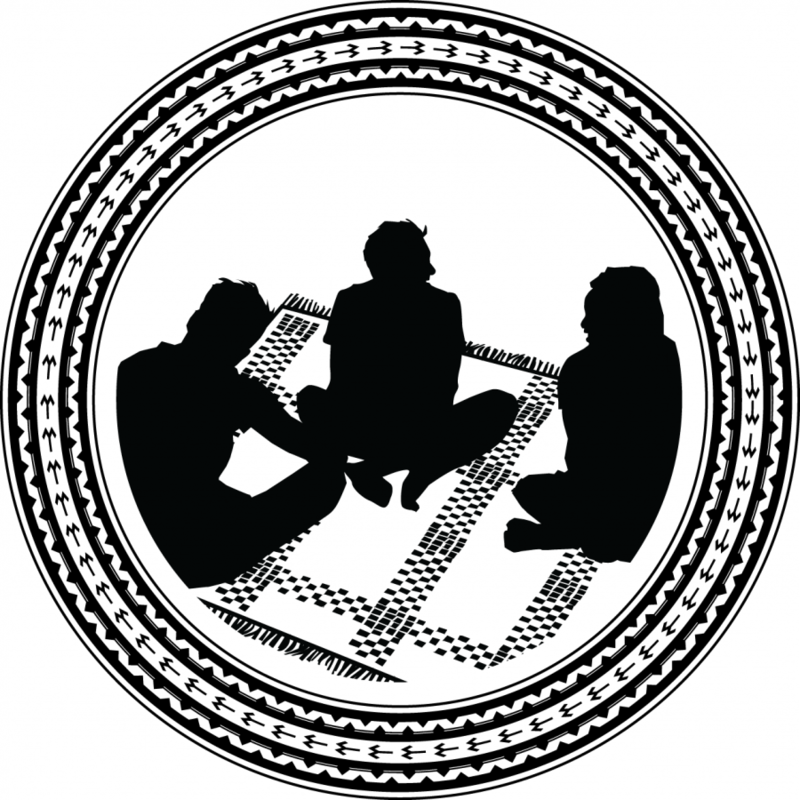 It encourages learners to reflect on the malaga (journeys) of their families who migrated to Aotearoa/New Zealand, and to value and celebrate their Pasifika identity. This identity is then connected to their career journey by exploring possible pathways and useful courses. Tommy: I was always encouraged to either be a doctor or a lawyer and being totally honest I hated that. I love music, music was my escape and so I left high school and I worked for a bit and then I decided that I don't want to be a doctor, I don't want to be a lawyer. I don't want to do one of these high academic roles which there's nothing wrong with but I personally wanted to do music. Siuea: Being a female in a male-orientated sport is really challenging. Sometimes it's just me in the gym amongst other males. It can be intimidating at times but I just remind myself you're here to do your own training focus on yourself so having that bigger picture of I guess why I'm here and why I train helps me get through those sessions. Déjealous: Throughout my high school years it was expected of me to pursue a career in medicine. I was really set on sports, a sports career. I was really really focused in on netball and I realised that hey there's actually a bigger world out there and I can actually discover myself within a different realm of study but I actually discovered a little flame within myself that was passionate about advocating for a cause and so that's when I thought oohh I'll pursue a career in law and see where that takes me. Siuea: The best advice I have for Year 10 students is to stay in school, finish school, think about what you want to do when you leave. Set a goal, stick to it, don't let external factors get in the way of you know what you want to do later in life and think about your family. Déjealous: Once you leave school, opportunities that are handed to you are very rare and it's actually up to you to seek those opportunities because there are so many other individuals who are fighting for that same opportunity, fighting for that same job, that same internship or that same position. Tommy: At the moment I'm living off chips and that's all good because I know that it's going to get me somewhere and I know that what I do helps people and that's what I love to do. Siuea: I think that it's really important for people to try new things and gaining those experiences and finding out other things that you could be capable of doing, so yes it is really good and important to step outside your comfort zone and try those new things. Tommy: Find out what you really want to do, surround yourself with people that help you find it because you are who you surround yourself with. If you surround yourself with eggs then you're going to turn into an egg yourself. Déjealous: No matter what you do once you finish school, having a goal or goals is significant because once you've got a goal I guess it really sparks motivation within oneself to actually strive towards that goal and achieve that goal. Tommy: Just believe in yourself and believe in yourself so much that people want to believe in you. Dave: When I was 14 years old I'd seen my uncle had done quite well in business so I really wanted to go down that field and also I really wanted to be a rugby league star but I knew I had to have a backup of business or something just in case league didn't work out. I had one family member who had done very well and my other family side which was my dad and my uncle who didn't do very well, they didn't stay at school and wound up spending a lot of time in jail, so I never wanted to be like that. And so you know there was two sorts of family guidance. There was from my parents 'Don’t ever go down that path', and then my uncle who was something that I wanted to work towards. John: I was nine years old when I left Tonga for New Zealand, and one of the barriers I first had to overcome was the language barrier. I spoke Tongan and I was trying to understand what everyone else was saying. When choosing a career I seeked help from our careers adviser and they signed me up in this programme called Gateway, and that for me that was the gateway that got me into the industry. So they allowed me to leave Otahuhu College and go into TVNZ and I did some work experience at Tagata Pasifika. Dave: My career journey has been one of a rollercoaster, there’s been ups and downs, from rags to riches and back to rags again, but you know what, that's the journey, and it's never a failure if you learn from it. As long as you learn from your mistakes they're not mistakes because you will never make them again. Jordan: Do the subjects that you're better at, I was not that great at science so I did English subjects instead and biology to try and get into medicine. Or if you're better at science and maths then do chemistry and biology and physics. John: It was a huge help having a programme like Gateway because that was my only opportunity coming from a school in South Auckland to going to somewhere like TVNZ. It allowed me to have a hands-on experience and I got to meet people in the industry. Jordan: If you're brown and you want to be a doctor there will be scholarships. One of the scholarships that I got was the Health and Workforce scholarship from Le Va. It paid for the whole degree basically. Dave: Never give up, keep pushing forward. You're going to come across road blocks and speed bumps. You just have to persevere, consistency and work hard. Nothing is going to be given to you in this life, you have to work hard and you have to be consistent. Kevin: When I was a Year 10 student back at Aorere College I had a little idea what I wanted to do, I always wanted to be an All Black and that was probably before I was even in the Year 10, it was when I was about this big. I’ve had a lot of guidance especially from my family, my parents have always been there right from day one and instilled some things in me that really helped me in my career. They always would make sure as a youngster that I was really well-prepared the night before the game, you know, making sure my boots were ready and clean and my bag and everything, and was ready to go for the next day. So I think those little habits really helped me especially when I became a professional. One of the values that really stand out for me that I hear my dad talking about all the time is that good things come to those that work hard, and when I think about some of the values my mum always talked about was making sure I respected the people around me. You know just things like making sure you keep your feet on the ground really helps especially when you move further in your career and just realise that people that are there from day one should still be there. I think some of the obstacles I’ve faced when I was thinking about the career that I wanted to move into was you see a lot of peaks and valleys so the peaks are the real good times and the valleys where you have struggles and that can be anything. It’s not supposed to be easy. The things that you really work hard for they mean so much more to you, you look after it and you protect it so much more. So working hard towards achieving things is what it’s supposed to be about. When rugby was the only thing I did sometimes the mind or your brain gets a bit stale so to be able to look outside the box and to be able to keep looking to grow yourself and keep learning new things that’s something that keeps you excited. When I think about the journey to what I was able to achieve in my career, I think it is definitely something I really wanted to do but making sure I had a real good balance of life as well. You know sometimes when you’re totally focused on the one thing there’s a lot of other things that sort of slip off and that you forget about so it was sport or rugby that I was trying to achieve, the education side of it is really important, the family time, for me religion was in there as well, time out, fun and enjoyment. It’s about putting all those things together so that you’re not just becoming a part of a person but a whole person. Lisa: Hi my name's Lisa Taouma. I am a company director of Tiki Lounge Productions. The Tiki Lounge is one of the largest Pacific production companies in the Pacific region and we make lots of programmes for TV like Fresh for TV2 and Game of Bros and we have lots of online productions for our online hub, which is called the CoconetTV. So when someone comes to me and expresses interest in working in TV production and a lot of young people have, the skills that I'm looking for and the qualities that I'm looking for in young people are things like the ability to have connectivity in a team, the ability to communicate that's really, really key. Also in this industry you really have to think on your feet and you have to have ability to self-manage and make your own decisions so it's confidence in decision-making. Timena: Talofa lava, my name is Timena Apa and I am a writer-researcher for Tiki Lounge Productions. So coming from high school and university into the workplace I think one thing that that made the transition easier was coming from one group to another group so I came from sports teams and groups of friends and Polyfest groups to a new group of people which were my workmates and that familiarity of jumping from one community of people to another made it a little bit easier to sort of feel comfortable and fit in and if you're surrounded by people you can consider your family and your friends then the workplace it's just 10 times better. Robert: I guess what qualities I look for when someone wants to work here are that their innate capacity to be part of a team, to me that’s a standout quality, it’s people who want to be with other people. I'm Robert Oliver I'm one of the owners and directors of Kai Pasifika Restaurant. The natural assets that Pacific people have around their food knowledge and their love of their food is…we need that in here, that's part of our design fundamentally. And for me in the kitchen it means that like everyone who knows their food, my Samoan, my Fijian, my Palau, my Cook Island guys if I say how does that taste they know what it's supposed to taste like they know the authentic flavour. It’s part of their kind of chef DNA. Hope: Hello my name is Hope Papalii, I'm the restaurant manager at Kai Pasifika Restaurant. My job here is to make sure that when staff come on board that they’re trained in everything we need them to do and all the procedures. It's quite demanding – you do a lot of long hours and you’re on your feet all day. So having very little experience when I first entered the workforce was very intimidating for me. I found it really challenging to get the confidence to step out and apply for the jobs that I did. Robert: Pasifika people bring a natural talent to that industry, to the interaction with other people. It's not all about the qualifications, the background, all of that stuff, it's often about the way that you put yourself across to the consumer, that's gold. Lisa: On people's CVs things like the fact that they may have been in Polyfest, in sports teams for example, those things mean different things now because the level of intensity and the level of commitment that you have to have in those arenas now are so much more than before, so automatically that shows me a willingness to learn, part of a team, and a good community kind of attitude. Robert: Pacific people are famously hard-working so if you combine a good strong work ethic with the natural inclination to be part of a strong team, hey you're good to go. Lisa: Show me you're passionate, show me you're absolutely keen, turn up, turn up is a big thing, turn up when you have to turn up really early for some production shoots, turn up earlier. And willingness to learn and take direction, I have to know that you're going to be willing to do that. Those are really key qualities, the basics that you want to know. Hope: My tips for youth coming into the workforce for the first time, definitely work hard, focus, and make the most of every opportunity that you have, just work really hard. Timena: I think a way that employers can encourage young people to enter the industry or the sector is just be visible and be mindful that young Pacific people need to know that there are opportunities out there, so visit schools and visit universities and let yourself be known so that there's an awareness around what is possible, and I think that's a great way to get people in the industry.